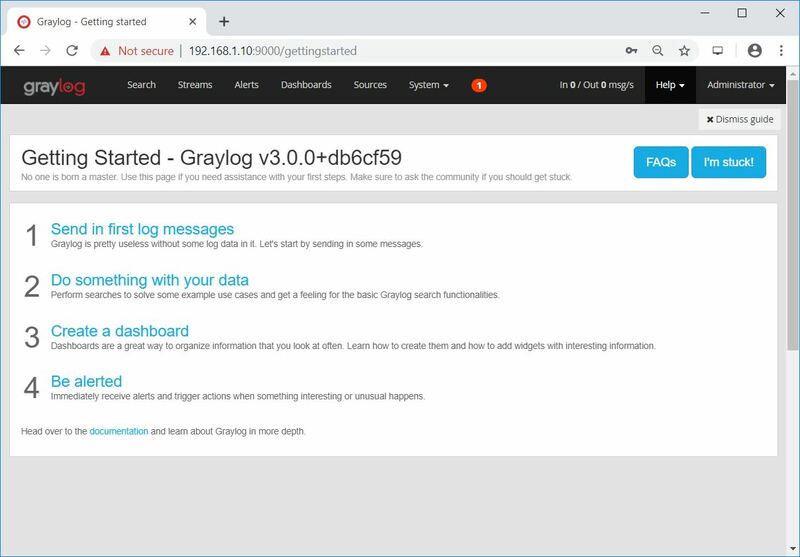 Graylog is an open-source log management tool that helps you to collect, index and analyze any machine logs centrally. This guide focuses on installing Graylog on Ubuntu 18.04 / Ubuntu 16.04. MongoDB – Acts as a database, stores the configurations and meta information. Elasticsearch – It stores the log messages and offers a searching facility. It is recommended to allocate more memory and use SAS or SAN disks for Elasticsearch nodes. Here, where all your searching happens. 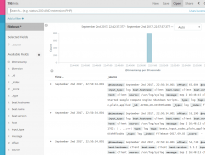 Graylog Server – Log Parser. 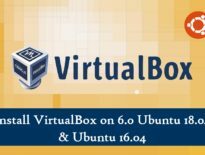 It collects the logs from various inputs and provides output to a built-in web interface for managing the logs. As you know, Elasticsearch is a java based application. Install either OpenJDK or Oracle JDK on your machine to proceed further. Here, I will go for OpenJDK 8. Elasticsearch is one of the main components which requires Graylog to run, acts as a search server, offers a real-time distributed search and analytics with the RESTful web interface. 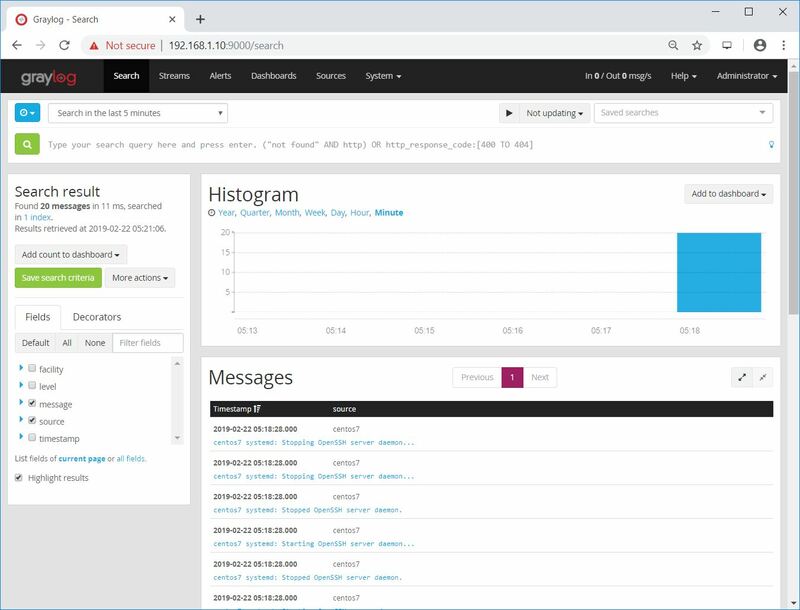 Elasticsearch stores all the logs sent by the Graylog server and displays the messages whenever user request over the built-in web interface. Download and install the GPG signing key. Set up Elasticsearch repository by running below command. Update the repository cache and install Elasticsearch package. Make Elasticsearch service to start automatically on the system startup. The only important thing is to set a cluster name as graylog. Edit the configuration file of Elasticsearch and update it accordingly. Set the cluster name shown like below. Start the Elasticsearch service to read the new configurations. Wait at least a minute to let the Elasticsearch get fully restarted. Elastisearch should be now listening on 9200 for the processing HTTP request. Use a CURL to check the response. Optional: Test the health of Elasticsearch cluster. Make sure the output yields the cluster status as green. Download and install the latest version of MongoDB from the official website. Import the public key on the terminal to begin. Add mongodb repository by creating the /etc/apt/sources.list.d/mongodb-org.list file using the following command. Start the MongoDB and enable it on the system start-up. 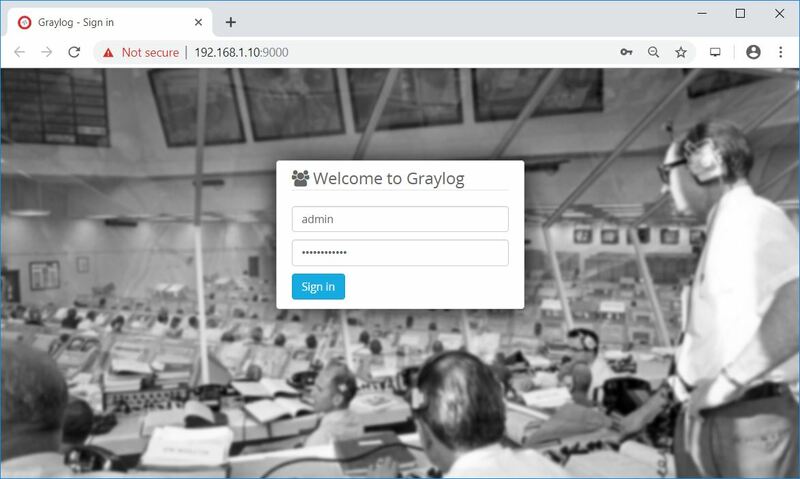 Graylog Server accepts and processes the log messages and then displays it for the requests that come from the graylog web interface. Install the Graylog server using the following command. You must set a secret to secure the user passwords. Use the pwgen command to the same. Next is to set a hash (sha256) password for the root user (not to be confused with the system user, the root user of graylog is admin). You will need this password to login into the Graylog web interface. Admin’s password can’t be changed using the web interface. So, you must edit this variable to set. Replace yourpassword with the choice of yours. Edit the server.conf file again. You can set up email address admin user. Set only one master node by defining the below variable. If you add a second Graylog node, set this to false to make the second node as a slave as the Master node does some periodic tasks that slave nodes won’t perform. The following parameter defines to have a total number of indices if this number is reached old index will be deleted. Shards setting rely on the number of nodes in the particular Elasticsearch cluster. If you have only one node, set it as 1. This setting defines the number of replicas for your indices. If you have only one node in the Elasticsearch cluster, then set it as 0. From the version 2.x, the web interface is being served directly by the Graylog server. Configure the Graylog web interface by editing the server.conf file. Update the below entry with your system ip address from which you will access the Graylog web interface. You can check out the server startup logs, and it will be useful for you to troubleshoot Graylog in case of an issue. On the successful start of graylog-server, you should get the following message in the log file. 2019-02-22T10:07:49.398+05:30 INFO  [ServerBootstrap] Graylog server up and running. Login with username admin and the password you configured at root_password_sha2 on server.conf. Click on System >> Overview to know the status of the Graylog server. Graylog input needs to be configured to receive the logs from external sources, i.e., syslog or any logging system. For this example, we will set up an input for receiving logs from syslog on port number UDP 1514. Because if you start to try an input on one of the privileged ports, any TCP/UDP port number below 1024, you would see permission denied error in Graylog logs. So, we will create an input to start on port 1514. 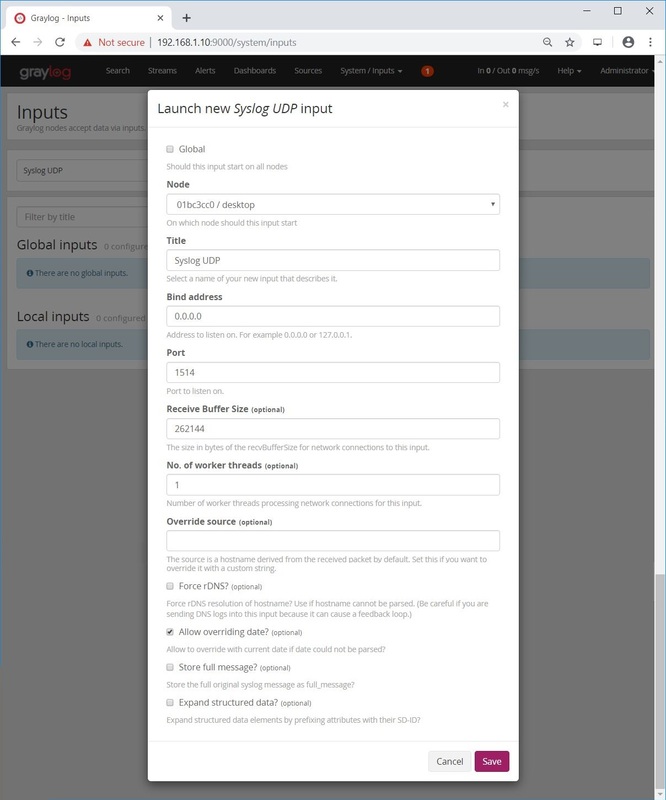 Click System >> Inputs >> select Syslog UDP and then click Launch new input. Fill with the values and then click Save. Once you have created the inputs, configure Rsyslog or forward any system logs to your Graylog server. Edit the Rsyslog configuration file. Typical Rsyslog configuration will look like below to send logs on UDP 1514. Restart the Rsyslog service to send logs. Wait for a few minutes. You should start receiving log messages from the client machine when the event is generated. Following screenshot shows the logs received by Graylog (Graylog console >> Search). 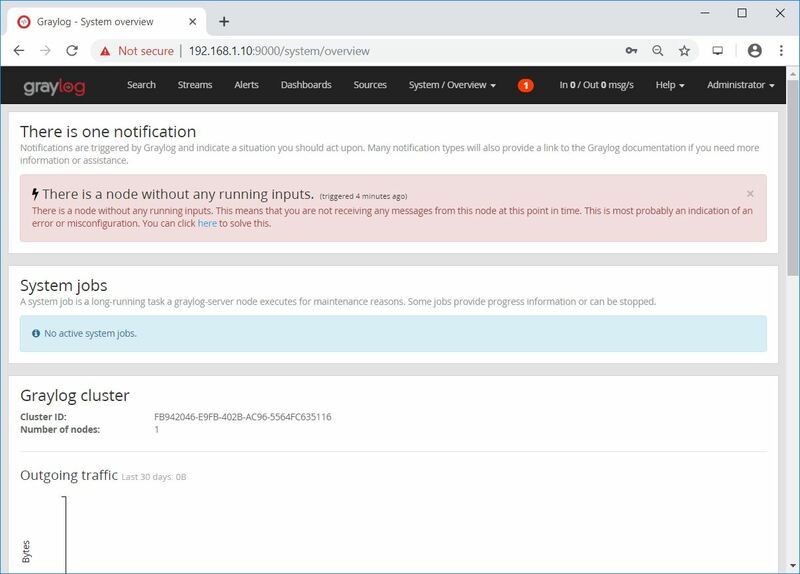 You have successfully installed Graylog 3.0 on Ubuntu 18.04 / Ubuntu 16.04 and configured Graylog to receive Rsyslog logs from external sources. As a further read, you can try configuring Nginx or Apache as a reverse proxy and set up HTTPS for the Graylog web interface.